Hi my loves! Hope you're all having a nice weekend! So one of my recent purchases from my trip to New York was this new foundation from Marc Jacobs (released July of this year) called the Re(marc)able Full Cover Foundation Concentrate. I usually like to read reviews online before purchasing beauty products, but this caught my eye when I was at Sephora and decided to swatch a few shades. Right as I applied it to the back of my hand, I could tell it would be amazing - no reviews necessary haha! 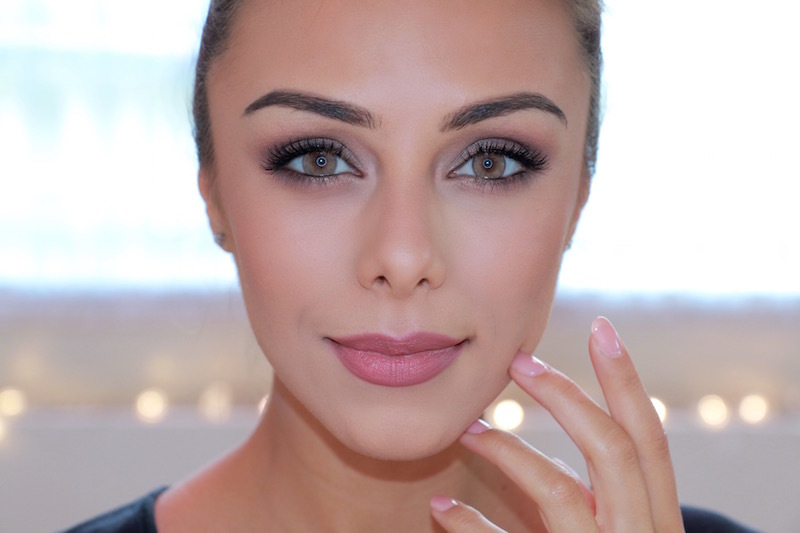 The consistency and pigmentation of this foundation are like none I have come across before. The term "foundation concentrate" definitely holds true! The pigmentation is unreal! You only need a very little amount of this to get a flawless even complexion. It is very lightweight and has a more liquid than cream consistency. This is definitely the most "unique" foundation I've ever used. 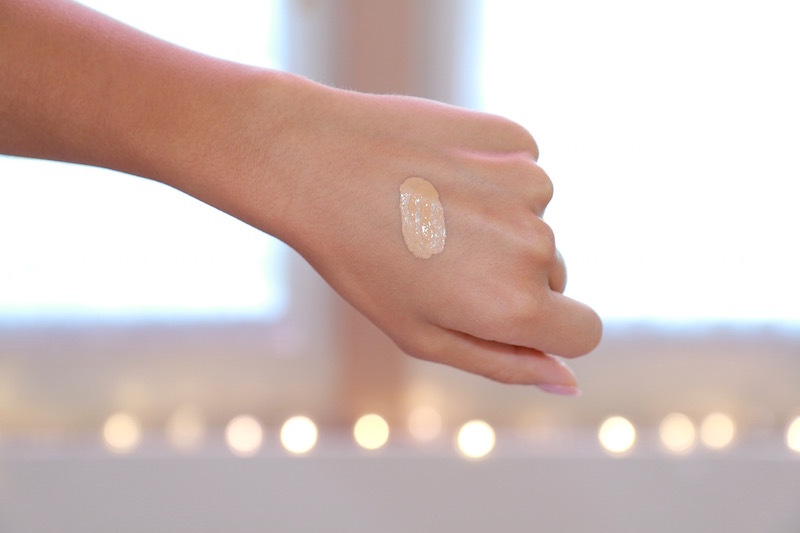 It is high coverage but applies very light and smooth. The shade "Beige Golden 36" looked like my perfect match as it has a beautiful warm yellow undertone to it, however it was out of stock! I was in a total rush to get back to the hotel and go to the airport and just did not have time to visit another location to pick it up. Because the foundation looked SO amazing however, I ended up getting the next closest match which was "Golden Medium 44". It was literally too good to pass haha. The match isn't 100% perfect, but once I complete my entire makeup, it is barely noticeable. (For a quick shade reference for those interested, in MAC I am NC40, in MUFE HD I am #153 and Too Faced Born This Way I am Beige Golden.) Next time I travel I will definitely pick up the other shade too! The foundation is oil and paraben-free, comes in an extensive range of 22 shades, catering especially well for olive and yellow undertones (Beige Golden 36 is so beautiful for yellow undertones!) and has a beautiful natural matte, but not flat, finish. It blends in to the skin very easily and effortlessly. I use a Sigma F80 Flat Kabuki Brush to apply this foundation, but a damp beauty blender would probably work really nicely as well. If you have dry skin, I would definitely recommend applying a hydrating primer first as I did notice this can accentuate dry patches. With that said, it's amazing for more oily-skin types! I like to set my t-zone afterwards with my Urban Decay DeSlick powder using a damp beauty blender just to make sure it's totally set. An ultra-lightweight, oil-free foundation concentrate that delivers 24 hours of full-coverage wear. 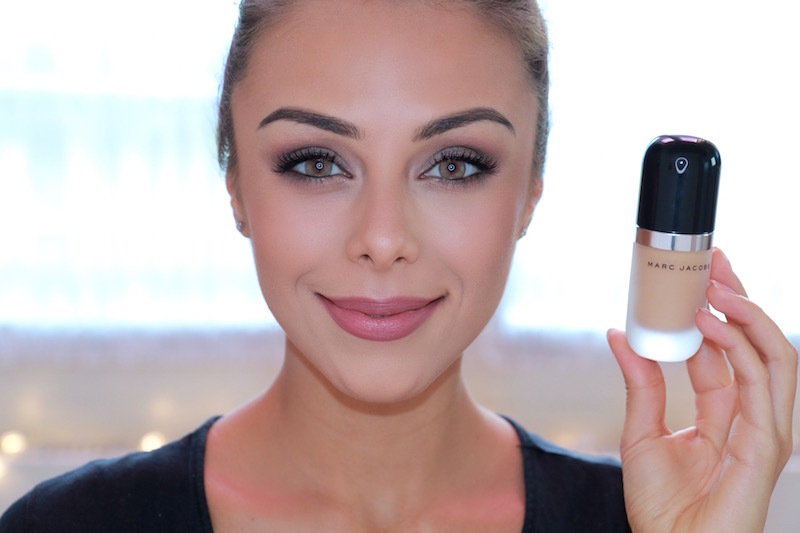 Finally: foundation coverage that lasts all day long. Get 24-hour wear and flawless coverage in an instant with this ultra-lightweight foundation concentrate. Featuring a revolutionary oil-free formula that contains twice as much pigment as a leading full-coverage foundation, it’s infused with innovative ingredients that completely cover with spot-on perfection. 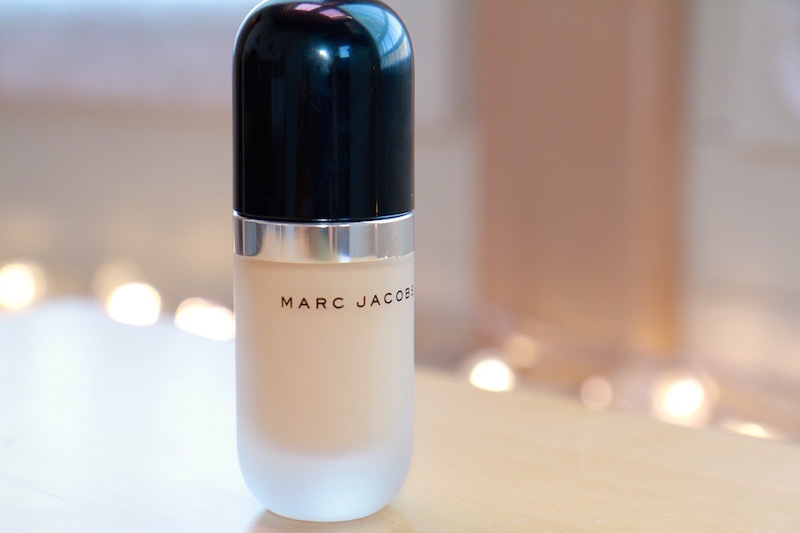 It’s enriched with Marc Jacobs’ patented golden pigments that are wrapped in lecithin—an ingredient that’s biochemically similar to skin—for immediate, effortless blending and a smooth, soft matte finish. 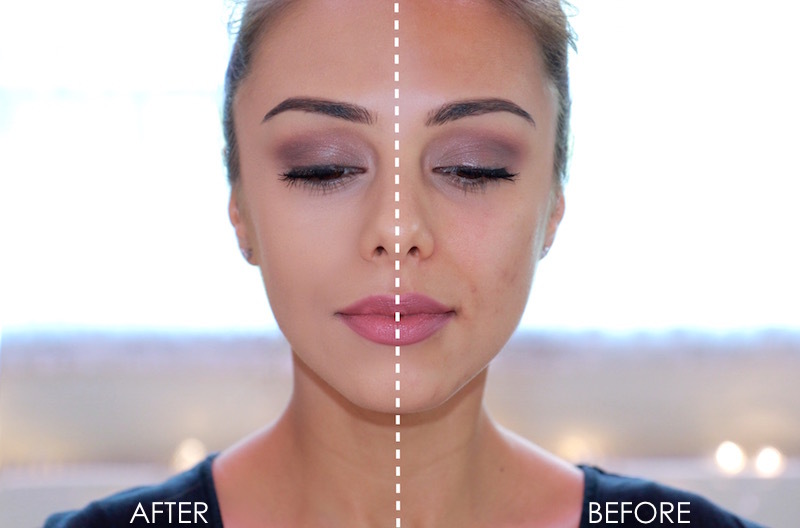 This foundation has a one-of-a-kind dot applicator that allows for custom coverage. Just shake, dot, and blend for perfectly-matte coverage. For best results, prime complexion with Under(Cover) Perfecting Coconut Face Primer, then apply three to four dots of Re(Marc)able to face. Less is more. Blend with The Face III Buffing Foundation Brush for instant, flawless, full coverage. Wow that looks perfect !! Your eyes are incredible! It sounds like such a nice foundation. pictures are just wow!!! sin looks so flawless!!! Your solotica lenses; what site did you use to purchase them?